Orange is overflowing with history and intrigue. At the heart of the Provence-Alpes-Côte d'Azur region, it will leave you bewitched, and what better way to relax than from a Premiere Classe Hotel? 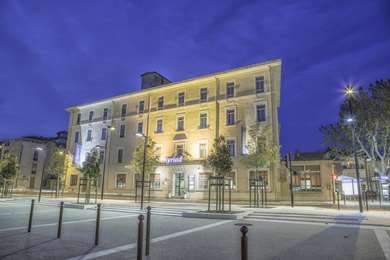 Situated it the heart of Côtes du Rhone in the Provence-Alpes-Côte-d'Azur region, the commune of Orange is brimming with cultural experiences. The town has two important landmarks from the Roman period: the Triumphal Arch and the Antique Theatre, which are both UNESCO World Heritage Sites. The warm Mediterranean climate provides a surrounding countryside full of vineyards, including Chateauneuf du Pape’s prestigious winegrowing region. This surrounding area contributes to what makes it such a fantastic destination; it is packed full of lavender fields, chestnut forests, olive groves and art galleries, scattered with medieval hilltop villages and bounded by a beautiful coastline. Orange sits close to more edgy cities such as Marseille, and despite the region’s idyllic landscape, there is lots of glamour to be found too. Orange is simply the perfect town for experiencing the southern way of life. Two days allows for a good taster of this unique destination. The first day could be spent soaking up the history of the place; the Roman theatre is described as the most impressive still existing in Europe, with the Triumphal Arch being equally as awe-inspiring. In the evening head to Au Petit Patio for some local cuisine, and spend the next day visiting some nearby, impossibly-positioned hilltop villages, picking up lunch along the way. 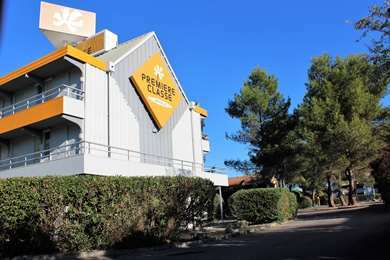 A week will quickly be filled up in Orange and Provence, and the Premiere Classe Orange hotel is perfectly situated for the occasion. Spend a few days watching the world go by from the quaint cafés in the town, between visits to the famous architecture and The Musée, which displays the biggest Roman maps ever recorded. The area's gastronomy also deserves have your full attention; hire a car and explore the countryside, and don't forget a vineyard visit. There’s plenty to entertain the children with during a visit to the town. The size of Orange makes it easy to cycle around, and the surrounding area offers much to get stuck in to in the way of sports. Why not go pony trekking, or spend a day by a nearby river with a picnic full of local specialties. Children will also be blown away by the exciting Roman history on offer. Around 20 trains per day travel to Orange from Avignon, with a journey time of 20 minutes, and a TGV service runs to Paris in around three hours. 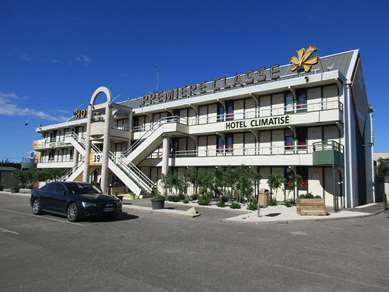 The Premiere Classe Orange hotel sits at the junction of the A7 towards Marseille, Nice and Italy, and the A9 towards Montpellier, Perpignan and Spain, a few minutes to the west of Orange. Three products – wine, truffles and olive oil – are essential to Provence life. Its red wines, especially those of the Gigondas vineyards 15km east of Orange, have gained cult status. The black truffle, or ‘the black diamond’, is also renowned and rather pricey, while its olive oil rivals that of Italy and Spain, even though it is less well-known. The Chorégies d'Orange has existed annually in Orange since 1902, and is now famous as an international opera festival. In 1971, the New Chorégies were started and became an overnight, international success. Many top international opera singers, such as Barbara Hendricks, Plácido Domingo and Montserrat Caballé, have performed in the theatre. Orange gets its name from the time when it was a dependency of the Dutch House of Orange-Nassau. It is not at all related to the citrus fruit. In fact, the last orange grove existed 2,000 years ago, and the town’s real juice today comes from its famous vineyards, which produce a Côtes du Rhône vintage.